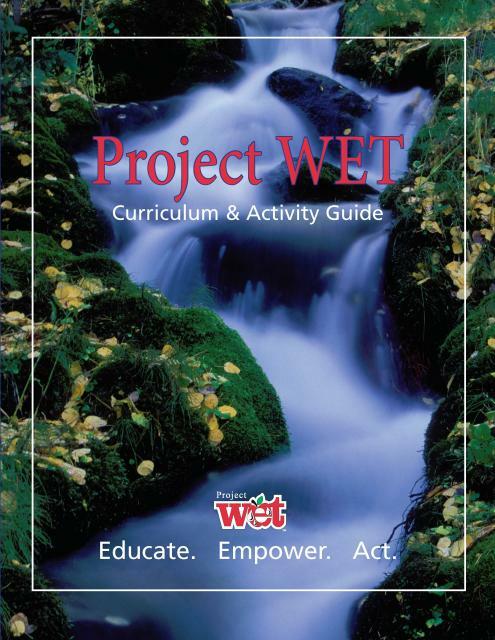 Project WET (Water Education for Teachers) is an award-winning, nonprofit water education program and publisher. The program facilitates and promotes awareness, appreciation, knowledge, and stewardship of water resources through the dissemination of classroom-ready teaching aids and the establishment of internationally sponsored Project WET programs. The Water Education Foundation is the California Coordinator for Project WET. Project WET believes that informed people are more likely to participate in the decision making process and to make a difference through their actions. Project WET invites educators, resource managers, community leaders and concerned citizens to join Project WET in educating young people about one of the most precious resources on the planet – water.